Softens and nourishes Saddlery leathers and all smooth leather. Renews and softens old leather. Softens and tint new leather. Oil 100 % vegetable rich in fatty acid and glycerol triester, biodegradable. 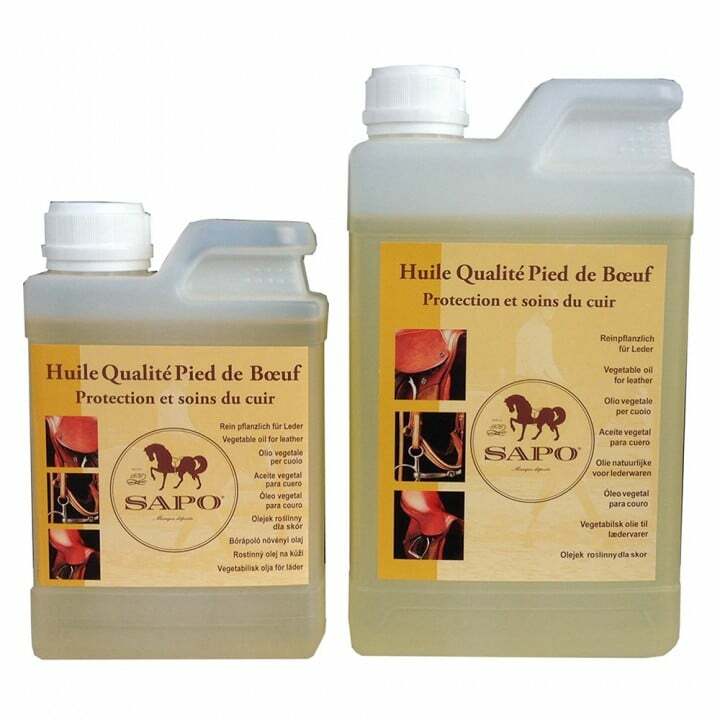 New leather : It is necessary to apply SAPO vegetable oil on each new leather articles to protects them durably from the stains and makes leather more resistant to the tear. 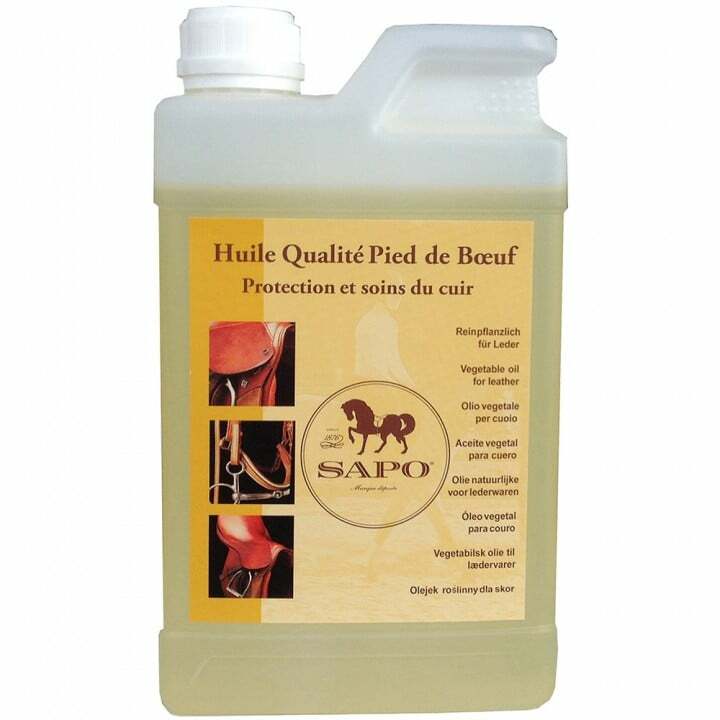 Apply SAPO vegetable oil in successive layers each 24 hours until obtaining the desired flexibility. Do not apply more than 4 layers because leather can become fragile and spongy. Clear leather became more dark with this vegetable oil. When the desired color appears, use SAPO leather balm or SAPO Prestige a colorless cream. Old leather : Clean in warm water 20 second to remove dirt with a cloth. 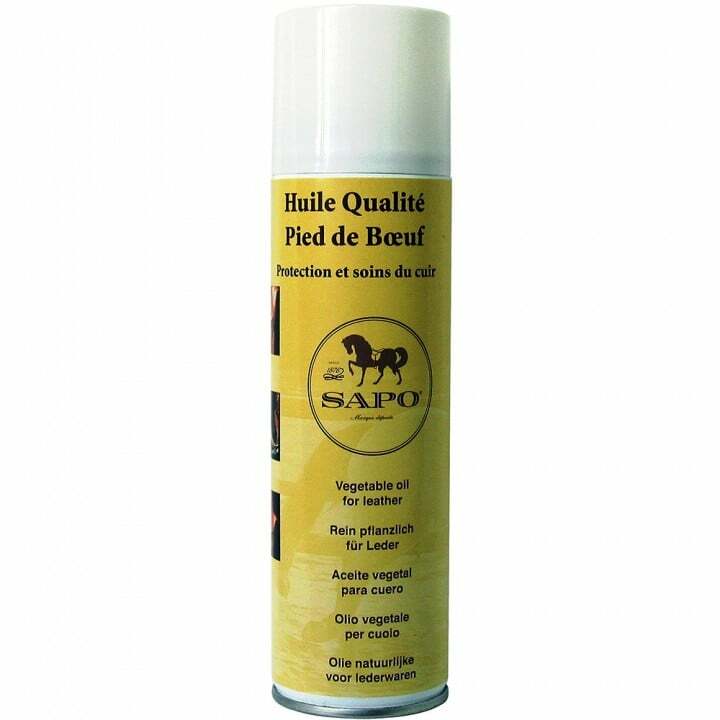 Apply SAPO vegetable oil with a pencil uniformly. *If leather became flexible, use after for the usual maintenance SAPO glycerin soap and SAPO leather balm or SAPO Nutritive cream. 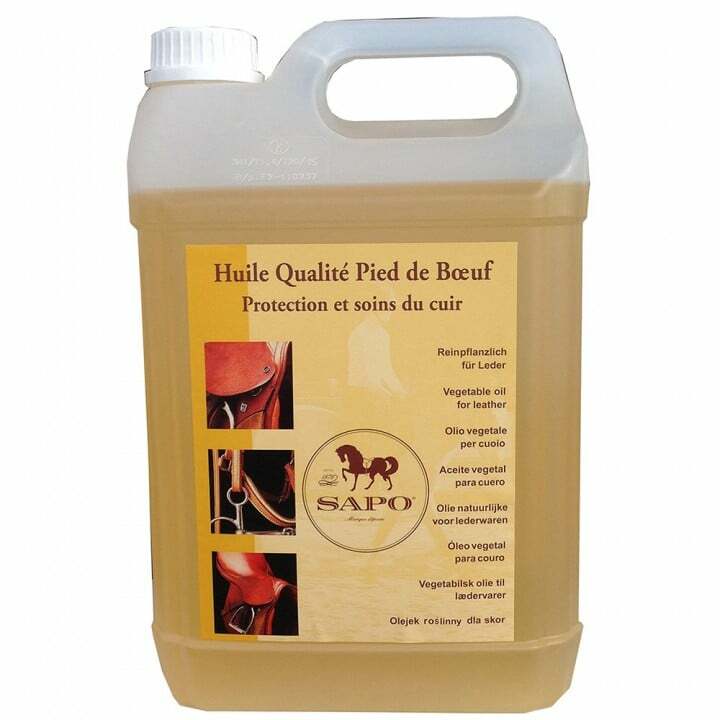 *If the leather doesn’t become enough flexible, apply again SAPO vegetable oil until obtaining the desired flexibility. Normal maintenance: once every 2 months. Dangerous – Respect the précautions of use.